Dementia at the same time as Parkinson's disease is Lewy body dementia. Lewy Body Dementia (LBD) affects 1.4 million people in the United States and is the second leading cause of dementia, according to the Lewy Body Dementia Association. LBD is a combination of two distinct diagnoses, Parkinson’s disease dementia and dementia with Lewy bodies. 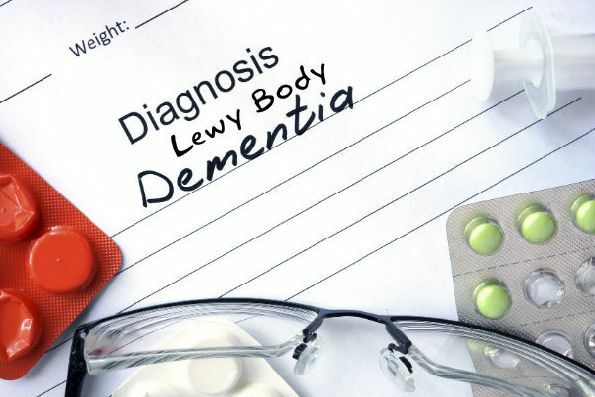 Lewy bodies are clumps of abnormal proteins in the outer layer of the brain, the cerebral cortex and are associated with both forms of dementia. When dementia develops after the established motor disorder, it is called Parkinson’s disease with dementia (PDD). When dementia occurs at the same time as the motor disorder, it is called dementia with Lewy bodies (DLB). They are both on the continuum of the same disease. These two conditions can cause the same underlying biological changes in the brain. In the later stages, the two diagnoses exhibit similar behavioral, cognitive, physical, and sleep symptoms. Sufferers also frequently experience hallucinations and bouts of ongoing depression. Despite being widespread, health care professionals frequently underdiagnose and misdiagnose LBD. It can resemble other causes of dementia such as Alzheimer’s disease. James E. Galvin, MD at Florida Atlantic University has developed a way to assess and diagnose LBD. The Lewy Body Composite Risk Score (LBCRS) is the system they developed. The LBCRS system of diagnosis is based on a rating scale. The assessment is one page long and features six questions that quickly outline whether the patient suffers from six non-motor symptoms that are distinct to LBD, but not other forms of dementia. By asking a few questions, the physician can quickly determine if the person suffers from the disease. Tell-tale signs are rest tremors, rigidity, bradykinesia, or postural instability. A clear diagnosis of LBD is imperative. This way, patients will avoid being misdiagnosed and, therefore, misprescribed. In fact, taking the wrong medication could possibly have serious adverse consequences and will not help to treat LBD. A definitive and prompt diagnosis of LBD gives physicians the chance to quickly begin medical therapies that may help or improve the quality of life for the LBD sufferer. Usually, professionals use a combination of the Lewy Body Composite Risk Score System, PET scans, CSF biomarkers, high-density EEG, and MRI tests to arrive at a clear diagnosis of LBD. Facing a Lewy Body Dementia diagnosis can be frightening for both the patient and their loved ones. If you need extra help caring for a loved one who suffers from LBD, our in-home health care services can help. We are available to offer you additional support on either a full or part time basis. For more information about David York Agency’s qualified, compassionate caregivers, contact us at 718.376.7755. A free consultation can help you decide what services might be best. Our aim is to provide you and your loved one with the assistance they need. If you’d like to hear more from us, please like us on Facebook or follow us on Twitter, Google+, or LinkedIn. For more information on discharge planning, contact us.